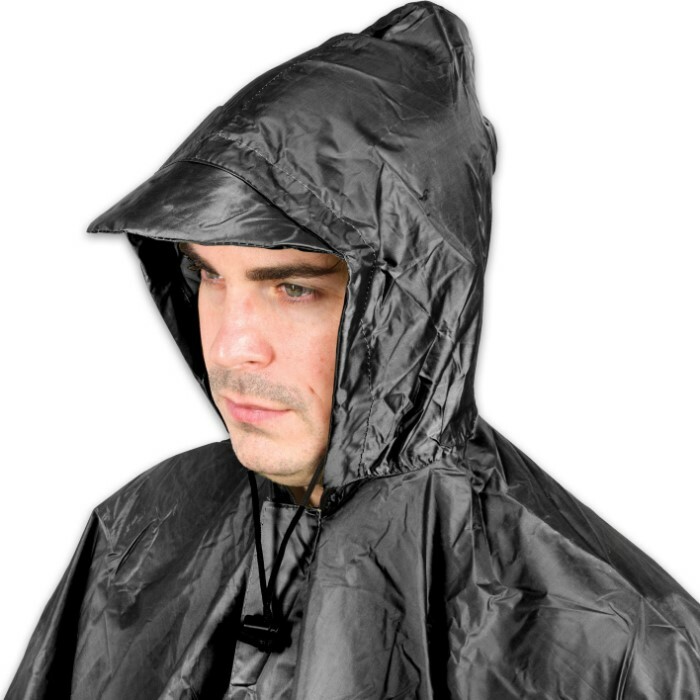 Black Poncho With Built-In Hood - Military Grade, Unisex - Waterproof, Grommeted Corners - 90 1/2”x56 3/4” | BUDK.com - Knives & Swords At The Lowest Prices! Stay warm and dry in the worst and most extreme weather conditions with this government issue style Black Poncho With Built-In Hood. 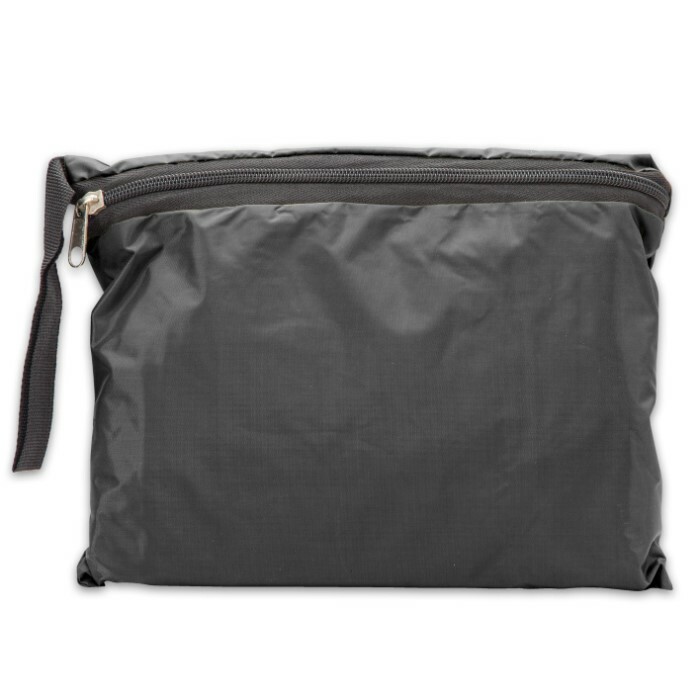 It’s constructed of 190T polyester coated PVC, 100% waterproof material and has a built-in hood with a cap-style bill. 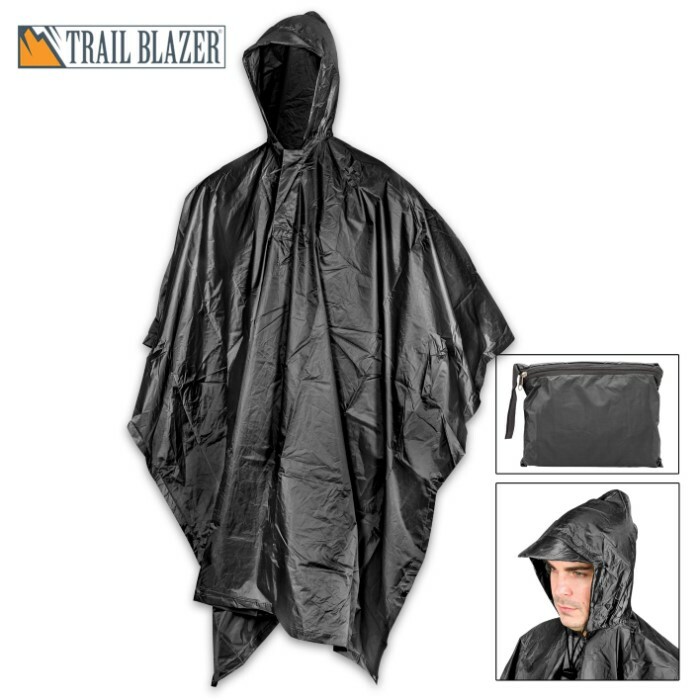 The pull-on poncho also features under-chin drawstring ties and a zipper and Velcro closure at the neck. 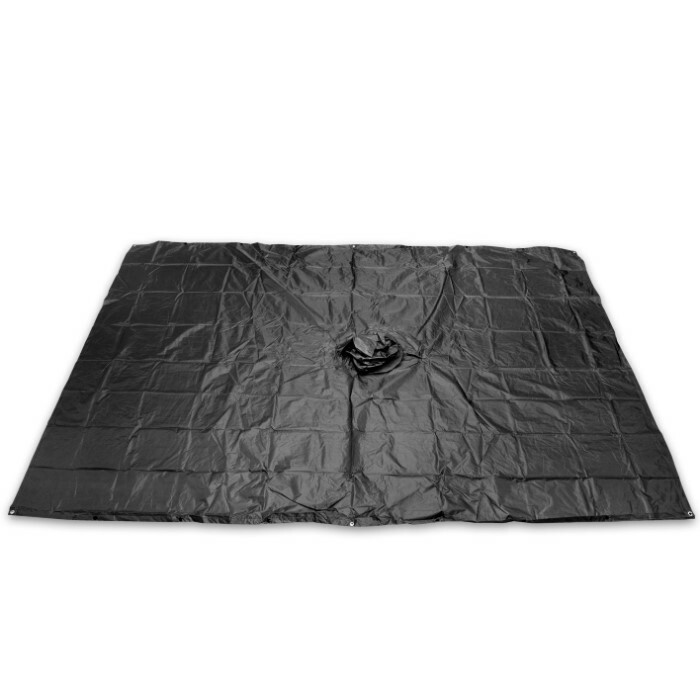 The sides have strong snap closures so that the poncho can be opened out completely to a size of 90 1/2”x 56 3/4” and the corners and sides are grommeted for use when an emergency shelter is needed. The Poncho With Built-In Hood comes in a convenient zippered pouch with a nylon carry strap. 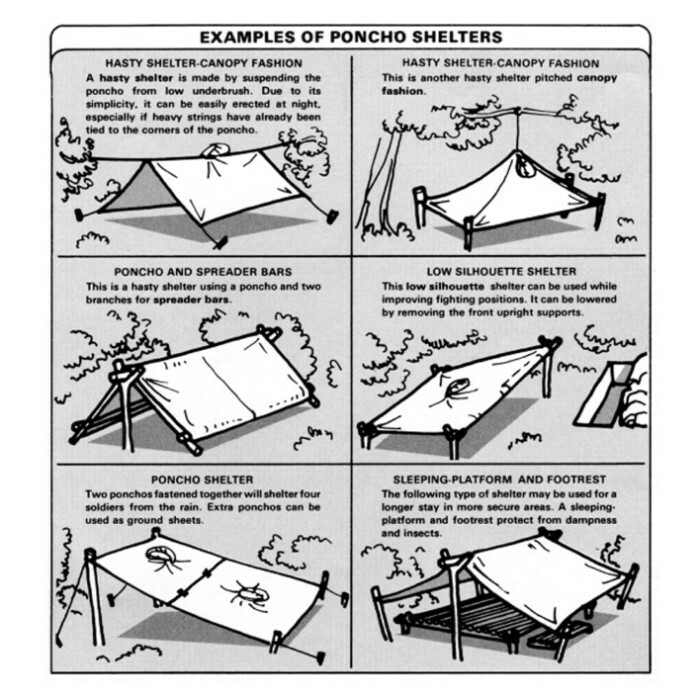 Having a good, versatile, weatherproof poncho for emergency situations is a must-have for your gear.